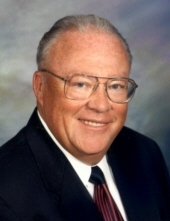 Dr. Thomas R. Knight DDS, 83, longtime Midland area dentist, died Monday afternoon, April 8, 2019 at the MidMichigan Medical Center after a lengthy illness. Dr. Knight was born on May 30, 1935 in Flint, son of the late Roy and Elizabeth (Horrigan) Knight. He attended Flint schools, graduating from St. Michael High School in Flint in 1954 where he was president of his class. Tom served with the U.S. Army and was discharged in January of 1964. He attended Mott Junior College and Central Michigan University and graduated from the University of Detroit Dental School in 1966. He had practiced dentistry in Midland for over 30 years. Dr. Knight married the former Donna Dowker on December 21, 1974 in Midland. He enjoyed hunting and spending time with family and friends. He was a member of the American Dental Association, the Michigan Dental Association, Chicago Dental Society and the Saginaw Valley District Dental Society. He is survived by his wife, Donna, one brother, Richard, and nieces and nephews, Tim (Stephanie) Knight, Dr. Mark (Kay) Knight DDS, Dr. Ted (Kristin) Knight DDS, Maureen and Lewis, Bridget and Kevin, Patrick and Catherine, Paula and Bill, Colleen and Jereme, Katie and Darren, Teresa Knight and Mark, Christina and Tim, Michael an Erren, Dawn (John) Brown, Diane (Larry) Schneider, David Dowker and Penny Dowker. He is also survived by sisters- in -law, Marie Knight and Pat (Jerry) Salat. Dr. Knight was predeceased by two brothers, Dr. Ralph Knight, Gerald “Jerry” Knight and by one sister, June A. Knight. The funeral liturgy for Dr. Knight will be celebrated at 11:00 am Wednesday, April 17, 2019 from Blessed Sacrament Catholic Church with Fr. Kevin Maksym presiding. Cremation will follow with inurnment in Great Lakes National Cemetery, Holly, MI. Dr. Knight’s family will receive friends at the Ware-Smith-Woolever Funeral Home, 1200 W. Wheeler St. on Tuesday, April 16, 2019 from 3-8 pm and at the church on Wednesday from 10 am until time of Mass. Those planning an expression are asked to consider the charity of their choice in Dr. Knight’s memory. Dr. Knight’s family would like to give a special thank you to Dr. Gregg McLean and Dr. Kahn and Dr. Mark Sands for their special care and compassion given to Dr. Knight. To plant a tree in memory of Dr. Thomas R. Knight DDS, please visit our Tribute Store. "Email Address" would like to share the life celebration of Dr. Thomas R. Knight DDS. Click on the "link" to go to share a favorite memory or leave a condolence message for the family.